Exclusive research conducted by The Stage has revealed the extent of under-representation of disabled students at the UK’s leading drama schools. 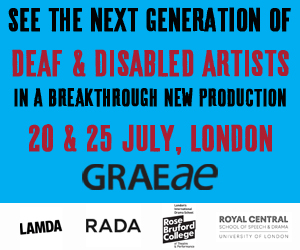 Last year, just 1% of graduates from major drama schools declared a physical impairment – covering mobility, sight or hearing impairments. The most up-to-date government figures, from 2016, state that 11% of people in the general population declared a mobility impairment, 3% declared a vision impairment and 3% had a hearing impairment. 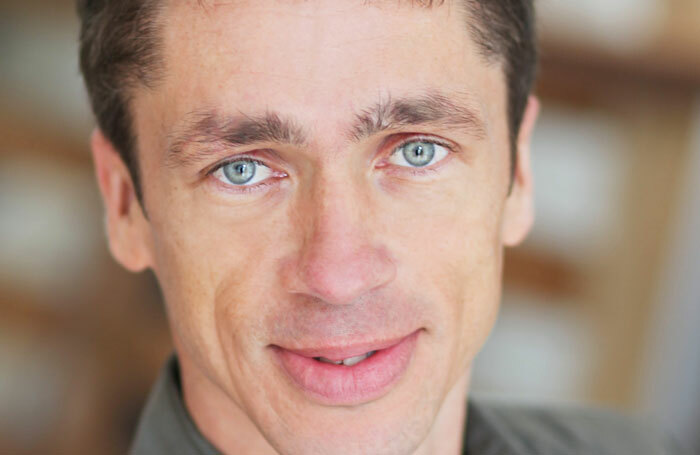 Leading disability arts figures including actor Mat Fraser have called on the schools to address the “huge issue” of a lack of training options for disabled theatremakers. The research asked 16 drama schools for the number of graduates who declared a disability each year, and whether those disabilities were unseen – including mental health conditions and learning disabilities such as dyslexia – or physical, such as mobility, sight or hearing impairments. Eight schools provided data, while eight declined or were unable to do so. In 2017, of 2,274 graduates from the eight schools providing data, 28 declared a physical disability (1.2%), a decrease on the figures for 2016 graduates, of which 3% declared a physical impairment. Of the five drama schools that had data available for 2018 graduates, 1% declared a physical impairment. The proportion reporting unseen disabilities was higher, with an average of 14% of graduates from the eight schools declaring a disability in 2017, compared to 13% in 2016. However, of those who had data available for 2018, only 8% declared an unseen disability. New government disability champion for the arts Andrew Miller vowed to tackle the lack of training options for disabled students. Miller told The Stage: “The essential issue is that training providers are not keeping up with industry demand for disabled creative talent. Speaking at a recent UK Theatre event, Miller added that he was working with apprenticeship providers and institutions such as LAMDA, and specifically the drama school’s stage management course, to create better access to training. He said that drama schools needed to consider how they could restructure their courses, and that he would like to see scholarship funds set up specifically for disabled students. Meanwhile, Michele Taylor, director for change at disabled theatre consortium Ramps on the Moon, said a “discriminatory culture” was still prevalent in some training institutions. She said there was a “huge issue with barriers to disabled and D/deaf people getting into and attending drama schools”. “There are drama schools that are working hard to address the issue, and there are individuals who are taking seriously their responsibility to inform and educate themselves about the issues, but it is not improving fast enough,” she said. Taylor added that it did not surprise her that more students were disclosing hidden impairments, partly because “it is becoming more acceptable to talk about these issues”. However, she argued that the “age and state” of many drama school buildings causes access issues for students with physical impairments. She added that in some institutions, even those with lift access, there was a “strong myth” that it was inappropriate to make adjustments for disabled students, “since that is not what they will find in the real world”. “This is really damaging since it perpetuates a discriminatory culture within our industries and instils in students the sense that they must ‘manage’, even cover up their impairments, rather than giving them the confidence and the vocabulary to be assertive about their needs. “I know there are exceptions to this, but it is still rife, so I do think that attitudinal change is the most urgent aspect of all of this,” she added. Actor Fraser, who was the first disabled performer to play the role of Richard III in the UK, called for a quota system to be introduced. Fraser said that to increase representation and accessibility for disabled people at drama schools, institutions needed to hire disabled tutors and board members, and study texts by disabled authors. In their responses to The Stage, drama schools highlighted ways in which they were working to improve the situation through a variety of initiatives, including a residency from Dark Horse theatre company at ALRA North and the world’s first disabled-led national youth orchestra, which Guildhall is supporting. Schools including Arts Educational Schools and LAMDA are fully physically accessible to disabled students. The drama schools that supplied data to The Stage’s survey were: ALRA, Arts Ed, LAMDA, Royal Central School of Speech and Drama, Guildhall School of Speech and Drama, Italia Conti and Drama Centre. Those that did not provide data were Bristol Old Vic Theatre School, East 15, RADA, Guildford School of Acting, Mountview, Oxford School of Drama, Rose Bruford and the Royal Conservatoire of Scotland.